The Thain Family Forest is the largest vestige of the woodlands that once covered New York City: a 50-acre swath of centuries-old native trees still thriving in the Bronx. The research site, visitor destination, and educational resource is situated at the heart of the New York Botanic Garden. C&G Partners designed a map series for the Thain Family Forest Program, which is dedicated to preserving the forest. 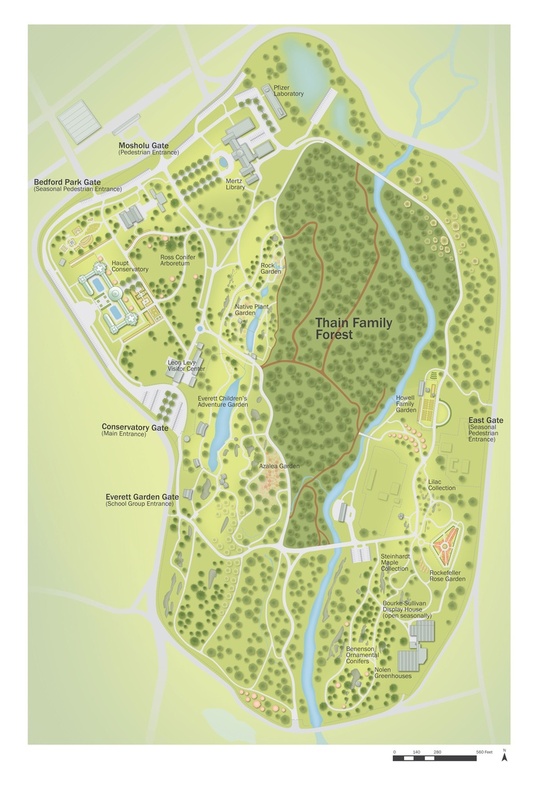 The map series begins with a depiction of The Thain Family Forest within the dramatic terrain of the New York Botanic Garden; it then focuses on specific facets of the forest, from soil phases and dominant canopies to research infrastructure and hiking trails. The Thain Family Forest maps are part of a series of cartographic assignments by C&G for NYBG, including a digital map for the newly completed Native Plant Garden.